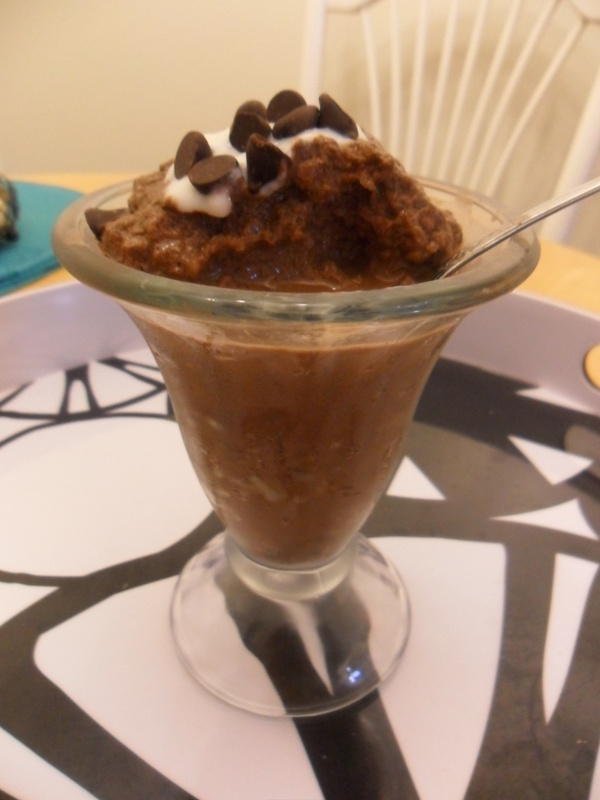 But for those that don’t have an ice cream maker, don’t fret. You can still have icy sweet treats. I recommend this one. It’s easy to make, and even easier to devour. 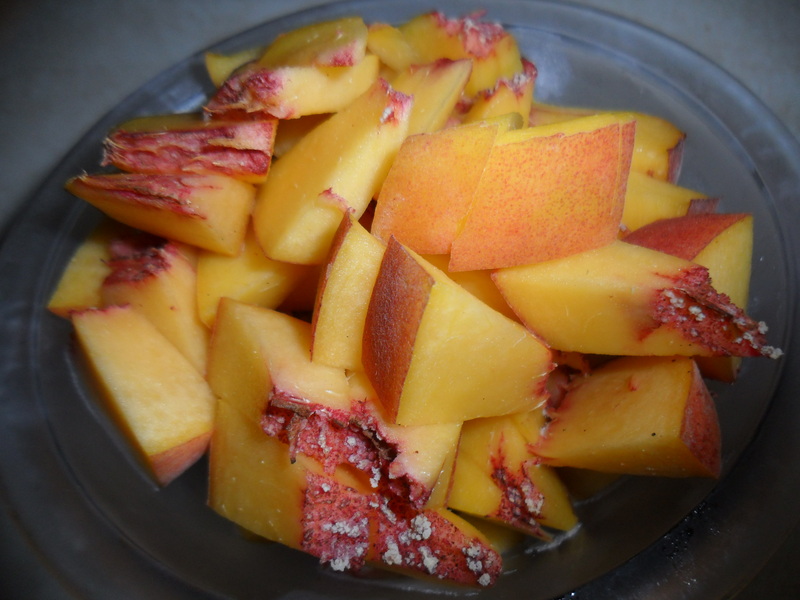 -Freeze the chopped peach bits for 1-2 hours. 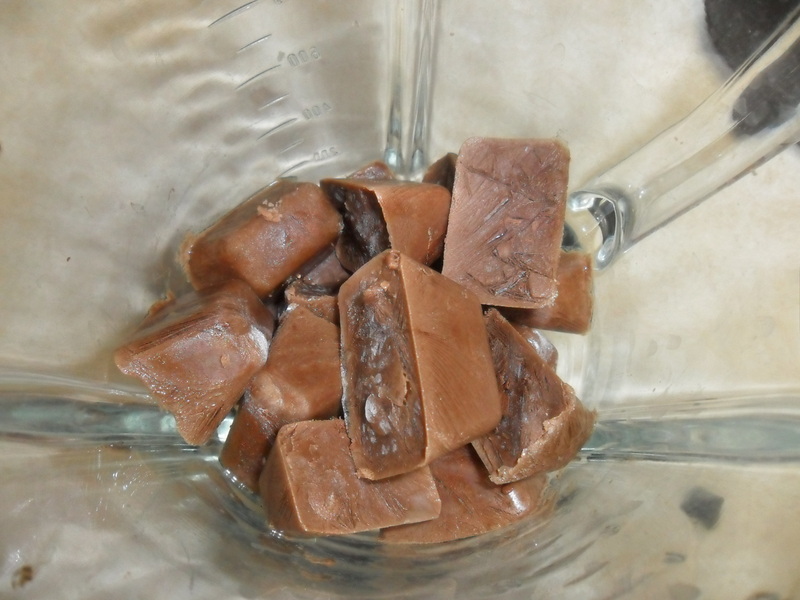 You can also freeze the yogurt if you like (for a thicker consistency). 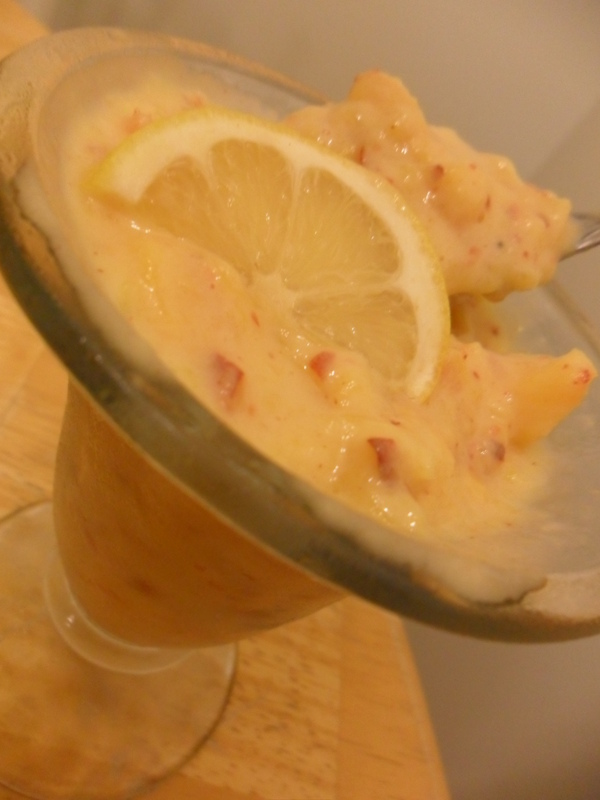 -Once fully frozen, transfer all ingredients to blender and blend only enough to reach a thick consistency. Return to freezer for 15-20 minutes to firm. So easy, right? And could the ingredients be any better for you? Well, probably if you completely eliminated the stevia and salt, but a little won’t hurt. 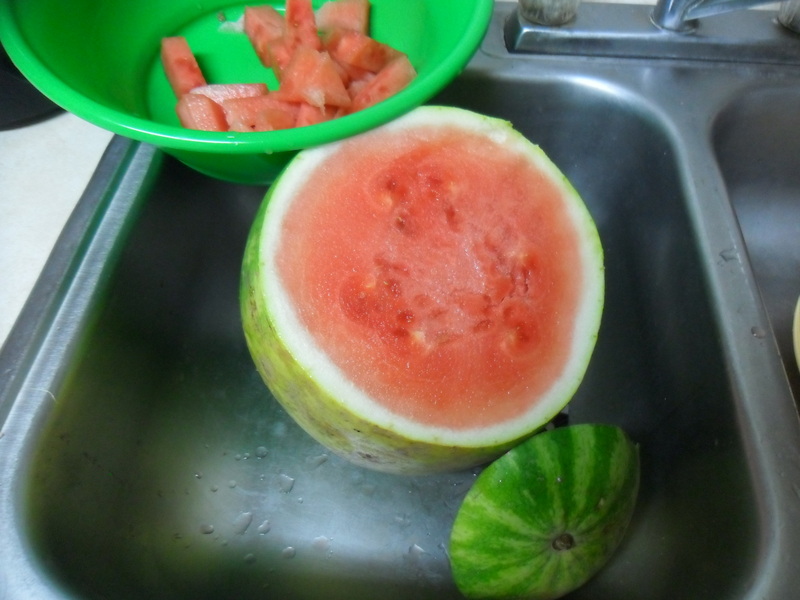 I love frivolous holidays, and I could probably eat a whole watermelon (by myself, and quickly) if you weren’t watching me. 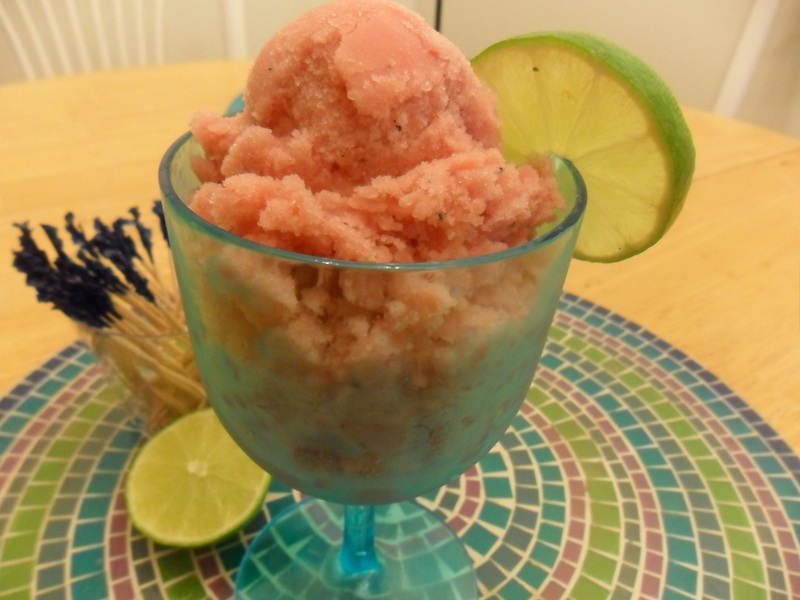 That’s why I love this watermelon ice cream recipe from Eating Well. So simple to make. Notice the cute little dots? Don’t they look like seeds? I tossed a few blueberries into the blender just for the effect. 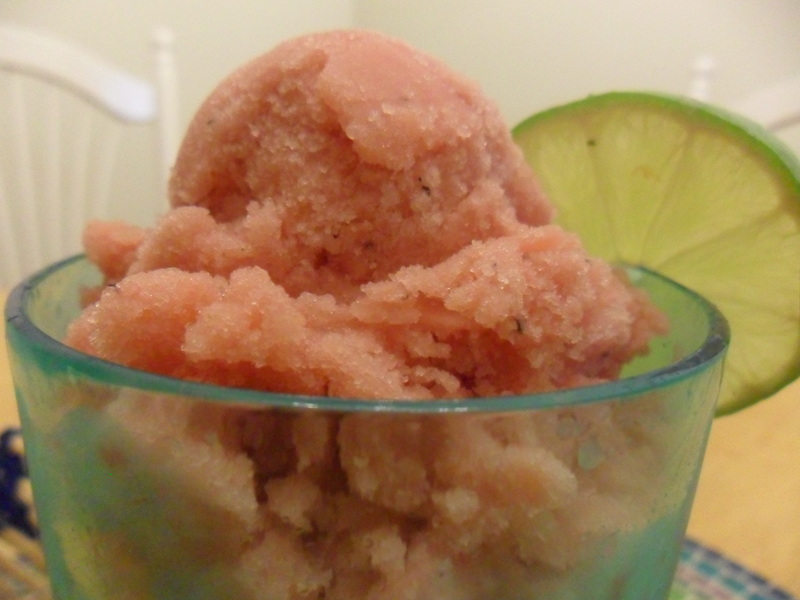 1-1 1/2 cups watermelon (frozen if you don’t have an ice cream maker. 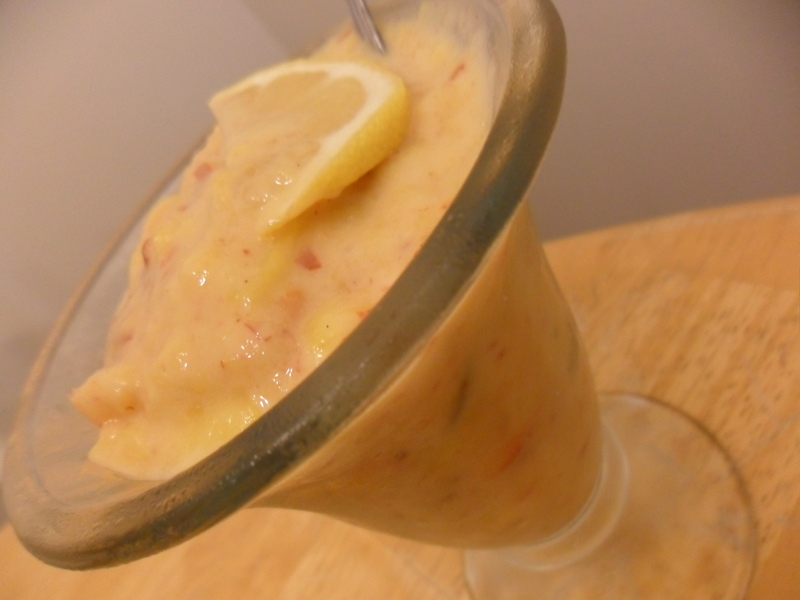 -Combine all ingredients in a blender until liquefied. Transfer to ice cream maker and prepare as directed. 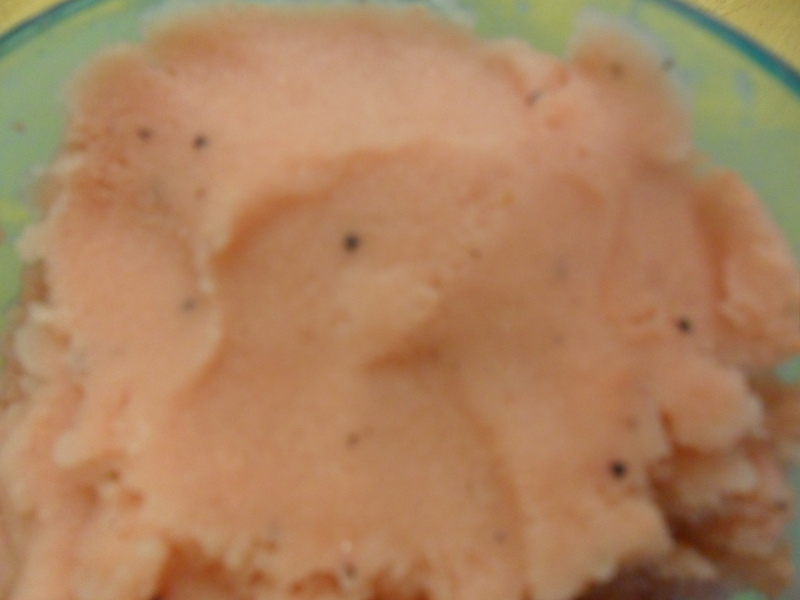 -Alternatively, if you don’t have an ice cream maker, simply freeze the watermelon in small chunks beforehand. 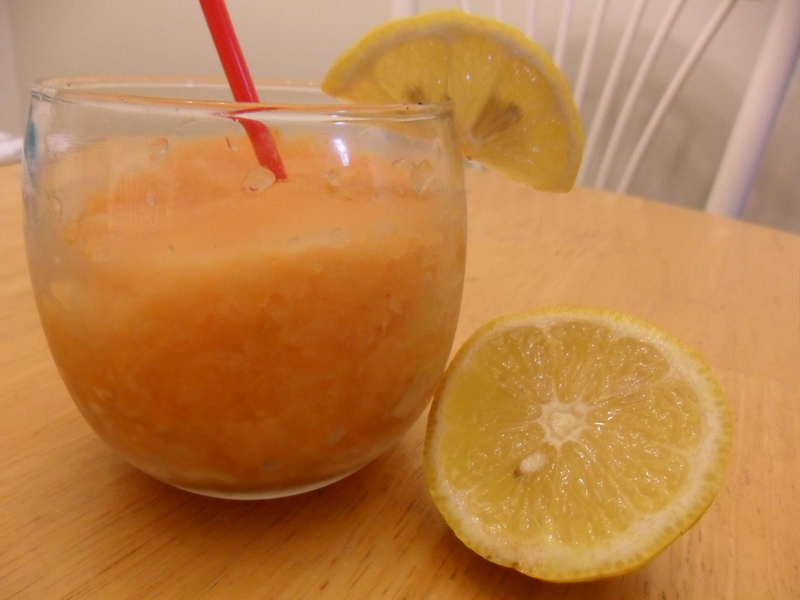 Blend until you reach a consistence you like (too thin and you’ll have a frosty drink instead (like my watermelon-banana frosty).